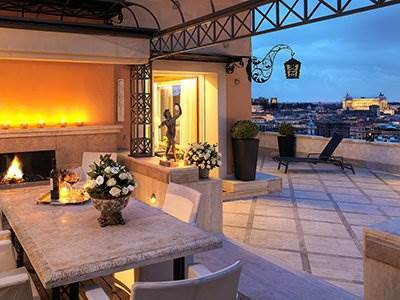 Hassler Roma is a prestigious 5-star hotel offering elegant accommodation and personalised services in the heart of Rome. 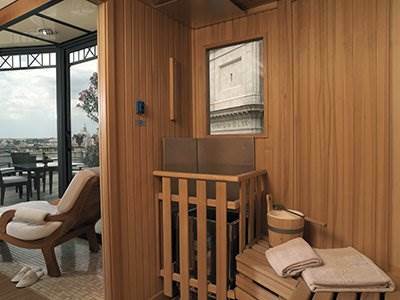 Highlights include a spa complex, Michelin-starred restaurant, stunning city views and an excellent location at the top of the Spanish Steps, close to the beautiful Villa Borghese gardens. 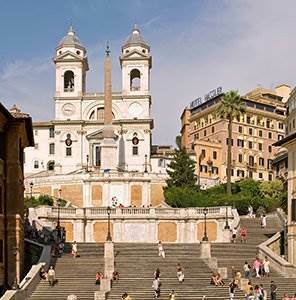 This upscale area is dominated by the Spanish Steps, which climb a steep slope between Piazza di Spagna and the Trinita dei Monti church. 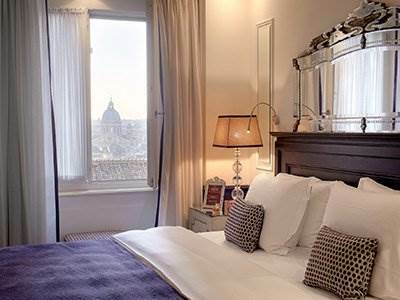 Nearby places of interest include the Keats-Shelley Memorial House, Trevi Fountain, Villa Medici, numerous designer boutiques and the prestigious Via Veneto. Spagna metro station is located in the vicinity, providing fast and easy access to other popular Rome destinations. 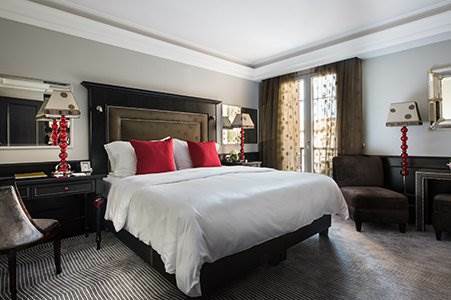 The hotel is housed in a classic mid-rise building featuring an elegant facade with shuttered windows and prominent brickwork on the lower floors. 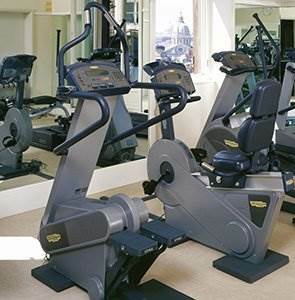 Facilities include a hair salon and luxury spa complex comprising a modern gym, sauna, steam room and sunbeds. A wide range of massage and beauty treatments are available on request. Grand Deluxe rooms are 35sqm and showcase an elegant decor with painted wood panelling and antique furniture. They overlook the city or the hotel garden. 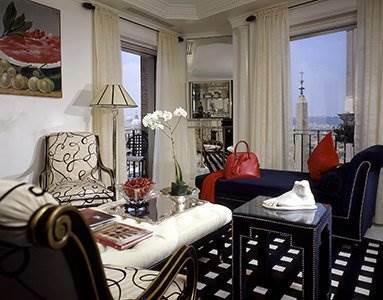 Some rooms boast a large sitting area, walk-in closet, private balcony or sofa-bed. Amenities include air-conditioning, chargeable wired internet, work desk, mini-bar and flat-screen satellite TV. The marble en-suite bathrooms feature a bathtub with integrated shower. 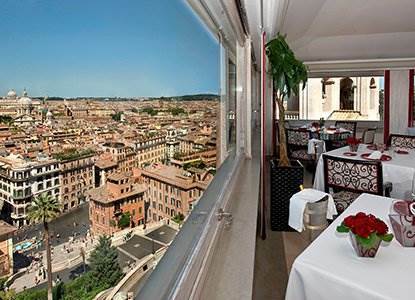 Imago is an elegant Michelin-starred restaurant offering gourmet Italian cuisine and fine wines complemented by breathtaking panoramic views of Rome. Palm Court Restaurant & Bar borders the Villa Borghese gardens and is surrounded by ancient stone walls, flowers and ivy. 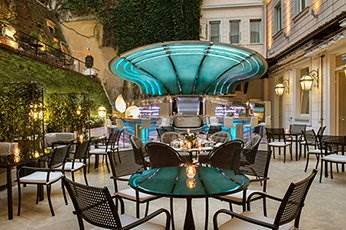 It features wrought-iron furniture and serves a wide selection of meals, snacks, desserts and cocktails accompanied by live piano music. 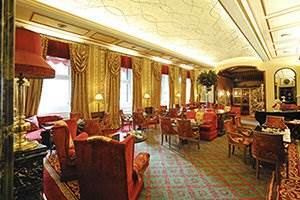 The cosy Hassler Bar boasts dark wood panelling, leather furniture and gilded mirrors, and is ideal for a relaxing drink. There are also plenty of dining opportunities in the vicinity. The hotel provides 24-hour reception and room service. Chargeable parking is possible onsite.